Slab of marble. Found in Maroneia in 1969. Now in the museum at Komotini (inv. 963). The beginning and ending of the text is lost. 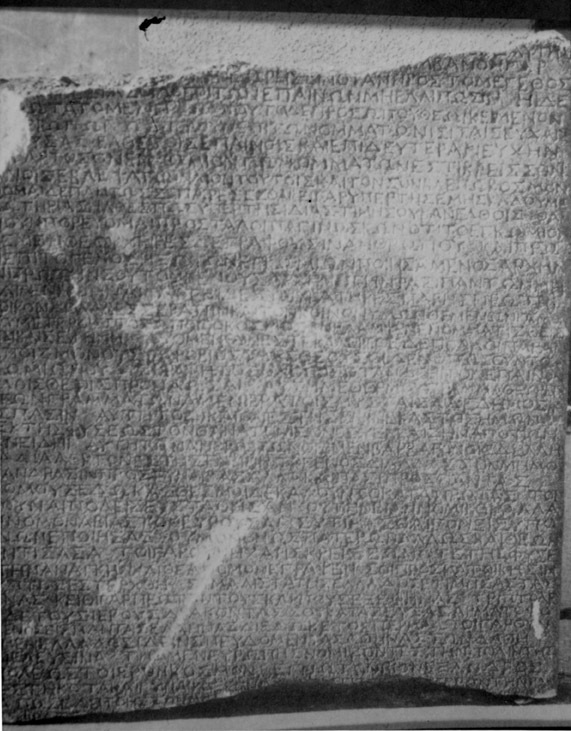 Other inscriptions of the second and first centuries BCE attest to associations of therapeutists devoted to Sarapis and Isis at Maroneia (IThraceL 183, 213); this aretalogy refers to initiates in the mysteries. 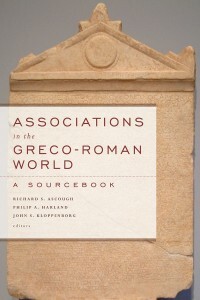 This aretalogy may well have been used within the context of such associations. The translation below is by G. H. R. Horsley (from NewDocs I 2), reproduced here with slight alterations and with permission.
. . . (three partial lines). . . may words of praise not be lacking in the face of the magnitude of your benefaction. Therefore this encomium (i.e. praising rhetoric) entreats you, and praise for my face belongs to a goddess, not with a man. So, just as in the case of my eyes, Isis, you listened to my prayers, come for your praises and to hear my second prayer; for the praise of you is entirely more important than my eyes whenever, with the same eyes with which I saw the sun, I see your world. (10) I am completely confident that you will come again. For since you came when called for my salvation, how would you not come for your own honor? So, taking heart, I proceed to what remains, knowing that this encomium is written not only by the hand of a man, but also by the mind of a god. And first I shall come to your family, making as the beginning of my praises the earliest beginnings of your family. They say that Ge (Earth) was the mother of all: you were born a daughter to her first. You took Sarapis to live with you, and, when you had made your marriage together, the world, provided with eyes, was lit up by means of your faces, Helios (Sun) and Selene (Moon). So you are two but have many designations among men. (20) For you are the only ones whom everyday life knows as gods. Therefore, how would the account of your praises not be unmanageable when one must praise many gods at the outset? She, with Hermes, discovered writing; and of this writing some was sacred for initiates (mystai), some was publicly available for all. She instituted justice, that each of us might know how to live on equal terms, just as, because of our nature, death makes us equal. She instituted the non-Greek language for some, Greek language for others, in order that the race might be differentiated not only as between men and women, but also between all peoples. You gave laws (nomoi), but they were called “things laid down” (thesmoi) originally. (30) Accordingly cities enjoyed stability, having discovered not violence legalized, but law without violence. You made parents honored by their children, in that you cared for them not only as fathers, but also as gods. Accordingly, the favor is greater when a goddess also drew up as law what is necessary in nature. As a domicile, Egypt was loved by you. You particularly honored Athens within Greece. For there first you made the earth produce food: Triptolemos, yoking your sacred snakes, scattered the seed to all Greeks as he traveled in his chariot. Accordingly, in Greece, we are keen to see Athens and in Athens, Eleusis, (40) considering the city to be the ornament of Europe, and the sacred place the ornament of the city. She determined that life should cohere from a man and a woman . . . (remainder lost).